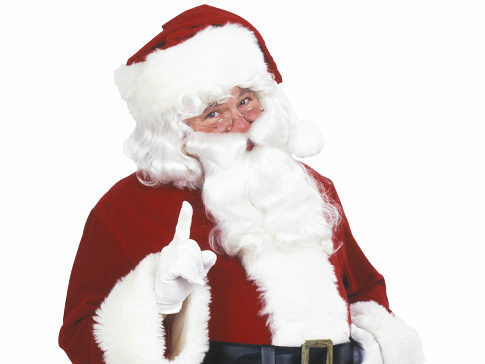 Santa will be at the Fiske Theatre to begin checking his list for Christmas and take pictures with the children. — Jolly Ole St. Nicholas AKA Santa Clause will be making one of his first stops to the Ark-La-Miss this Saturday, December 11 from 5 p.m. – 6:30 p.m. at the Fiske Theatre in Oak Grove, La. to catch a peak of one of the hottest children films on the market “Megamind” that will be playing at the Fiske that night. Children will be given the chance to sit on Santa’s lap and receive a complimentary candy cane and picture with their parents purchase of an adult ticket. Megamind will play Thursday through Saturday at 7 p.m. with a Sunday matinee at 2 p.m. The Fiske Theatre is operated by the West Carroll Chamber’s Theatre Board with proceeds from all events in the theatre going toward theatre operation, upkeep and improvements to the peoples theatre.